Weekend Wants: Loft Spring and Summer 2017. Happy Memorial Day Weekend Everyone! If anyone made me shop at one store only (for my clothes, shoes and accessories) all of this Summer, I would hands-down chose Loft. Ann Taylor LOFT has been killing it this year. They come up with pretty and prettier pieces each week. 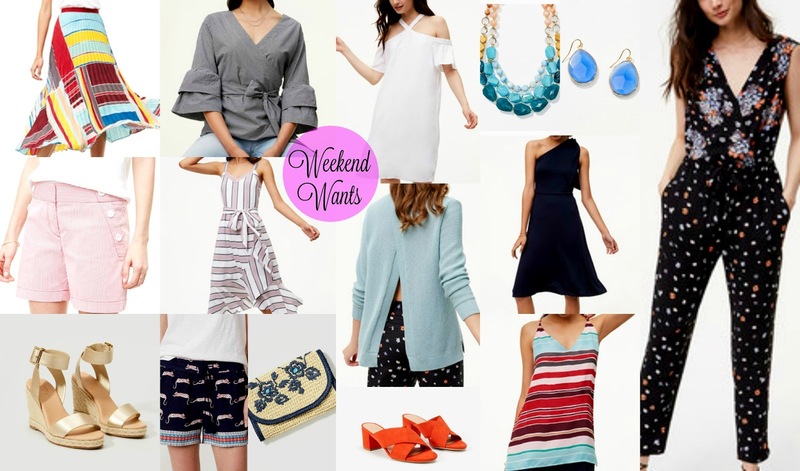 There are currently over 80 pairs of shorts to select from, over 100 dresses, hundreds of blouses, cute tops, tees and tanks, so many beautiful florals, classic as well as more whimsical stripes, lots of pieces in white and yellow or mustard, beautiful scarves that look like pieces of art, several light-weight sweaters both with sleeves and several sleeveless ones too, so many pretty baubles and crystals, the most fun sunglasses (I have purchased so many sunglasses from there in the last couple of years) and very on-trend shoes such as laceup styles, espadrilles, mules, block heel sandals, classic flats, fun wedges, comfy and chic loafers, etc. etc. Loft is currently having (until Memorial Day on May 30th) a 40% off store-wide sale for everything, but their blouses, button-ups, tees and tanks are even a better deal - 50% off. Even better, all of their current clearance items are an additional 50% off already-reduced prices. So run, do not walk to the nearest Loft you got and grab up a few pieces for yourself. Treat yourself, your mom, your sister or a girlfriend. A little insider tip too: on Tuesday May 31st, a brand-new collection called "Lemon" is coming to Loft which will be exclusive to their stores, which means you can only purchase that collection at the store, not online. And to tell you the truth, shopping at the store is my favorite way to shop at Loft and almost anywhere. Many times (like the last 3 times) I even had Vivian in tow with me and they gave her papers and markers to draw and color on and kept her busy for a while. Vivian was very well-behaved and even let me try on many things. Remember I did a long try-on session a few weeks ago and showed it all on my Instagram stories - you should follow me if you don't already. I did a little shopping spree there earlier this month for my birthday and Mother's Day and went back there today and picked up a few more pieces. I cannot wait for you guys to see them all, and for all the outfits I will be styling with them. 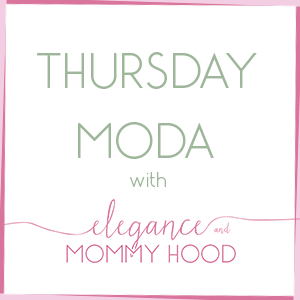 Actually check out Thursday Moda's post next week where my co-host and I will be styling not one but two outfits featuring some recent Loft purchases we each got. 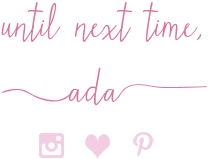 For now, here are 15 items I am currently loving and dying to add to my closet from Loft. Narrowing it down to these 15 was very very hard, let me tell you.